Deprecated function: The each() function is deprecated. This message will be suppressed on further calls in _menu_load_objects() (line 569 of /home/giauto/public_html/includes/menu.inc). G. I. Auto Pvt. Ltd. 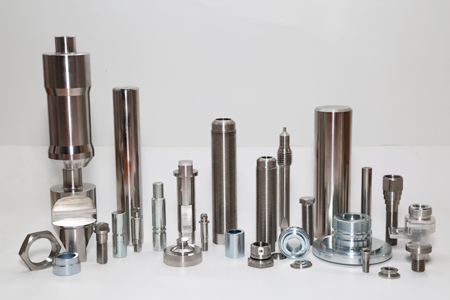 Established itself as one of the reputed manufacturers of Precision turned components, CNC machined parts, Press components, stampings, sub-assemblies. Its wide range of products including sub-assemblies and assemblies find application in a wide variety of industries such as automobile, engineering, Valve, instrumentation. Having Four units in different parts of Bangalore of which two units are catered to the requirements of Automotive & other two for Non Automotive applications. Units are certified for ISO TS 16949, ISO 14001 OSHAS, ISO 9001; 2008 and has introduced best practices such as Kaizen, TPM, 5S and other modern management techniques. Since its inception the company has continuously modernized and upgraded its manufacturing facility and is embarking on an ambitious expansion program. Manufacturing set up consists of 50 CNC machines, 60 Power Presses, 100 Traubs, 30 welding stations, 15 Brazing station, Grinding, Rolling & other facilities, Measuring Instruments like CMM, Surface testing, salt spray Equipments are available in house,. As on today more than 30% of the Products are Exported to more than 18 counties across the Globe,. G. I. Auto Pvt. Ltd. was founded in the year 1974. Today, it has established itself as one of the reputed manufacturers of Precision turned components, CNC machined parts, Press components, stampings, automotive sub-assemblies and assemblies. It has been certified for ISO TS 16949. Certified for OSHAS & EHS also.